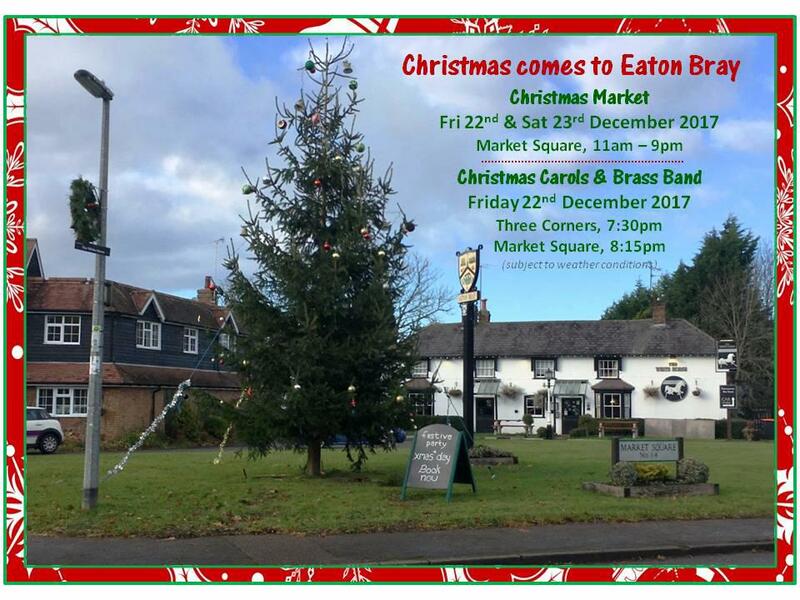 Archives of Eaton Bray News for December 2017. This article was published in December 2017. Please see Latest News for more recent information. The Parish Council has been in communication with Central Bedfordshire Council regarding the date of the consultation period for the above application. They have heard back today (27/12/17) from CBC confirming that the statutory consultation period will run until 8 January 2018, following the posting of site notices in the location. This, the 27th annual Puzzle that Gordon Gray has set, has a theme designed to help completion and will appeal to people who enjoy doing Crossword puzzles, such as in the Daily Telegraph (though it is not a Crossword puzzle). Puzzlers have plenty of time to find the answers and Puzzles should be returned, with donation, by 28 January 2018. Download the Puzzle now from www.christmaspuzzle.co.uk. Alternatively puzzles can be collected from St Mary's Eaton Bray. You are viewing the December 2017 archive.